Kaplan delivered her concession speech. 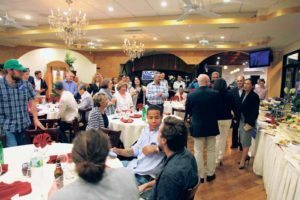 At 9:30 p.m. on June 28, polls for the Democratic primary for Congress in New York were closed and 630 precincts for the Third Congressional District had just started reporting. 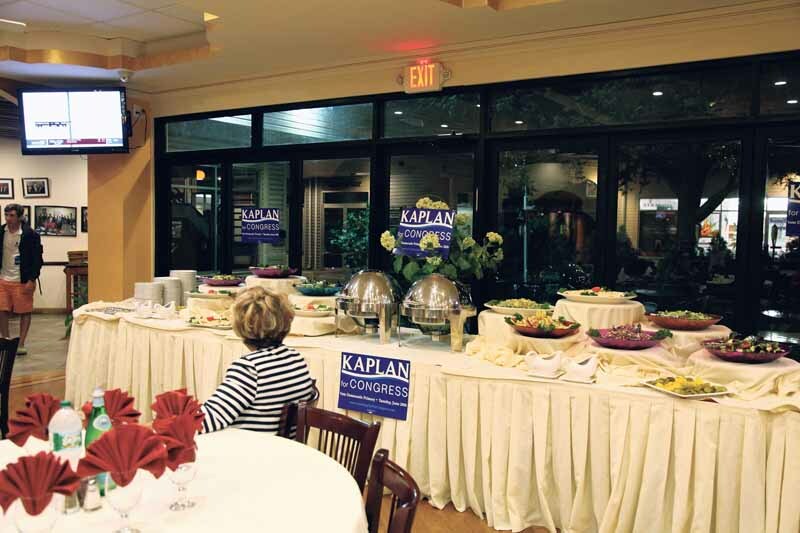 Shiraz Restaurant, located at 770 Middle Neck Rd., was ready for Councilwoman Anna Kaplan’s election night party—plates of festive food were put on a long table by the window, and the restaurant was decorated with her campaign posters everywhere. A few dozen of Kaplan’s stout supporters were already sitting at the tables. 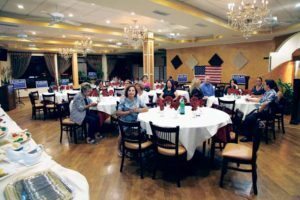 Two TV sets were playing local news, but most of the guests were checking their phones for election updates. 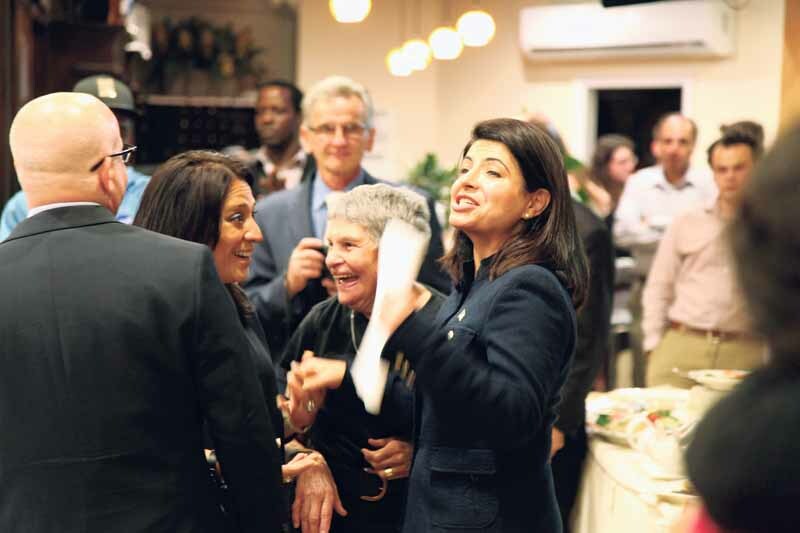 Kaplan and her family (at left) greeted reporters. 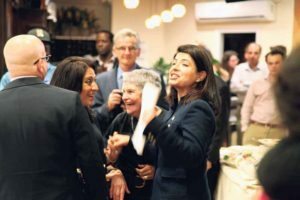 The Town of North Hempstead councilwoman’s bid for the seat vacated by retiring Congressman Steve Israel was described by many as historic. 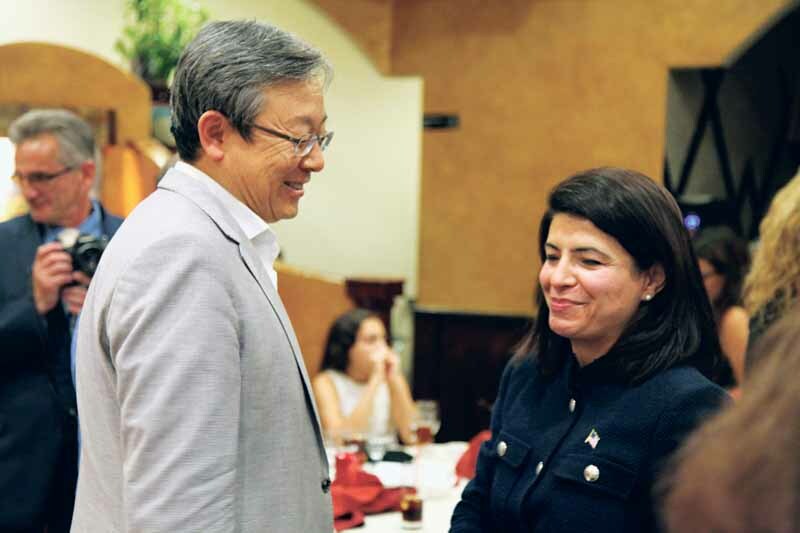 If elected, she would become the first Iranian American in Congress. 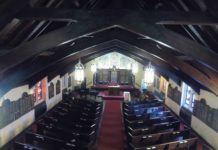 Her four opponents in the Democratic primary were all lawyers like Kaplan, and they were Attorney Jonathan Clarke of Jericho, former North Hempstead Supervisor Jon Kaiman of Great Neck, Suffolk County Legislator Steve Stern of Dix Hills and former Nassau County Executive Tom Suozzi of Glen Cove. Kaplan took the time for all of her supporters. 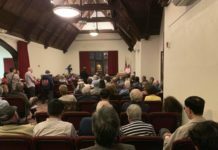 In May, the five Democratic candidates held a debate at Great Neck House, where they discussed issues such as campaign financing, Social Security, the Iraq War and U.S.-Israel relations. 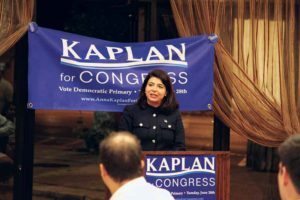 Throughout her campaign, Kaplan managed to differentiate herself from the other candidates by emphasizing the issues and needs of immigrants. 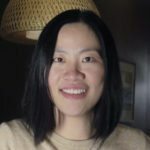 She also heavily canvassed Asian Americans, a growing population in Great Neck. 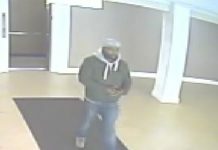 At 11 p.m., many tables at the restaurant were fully seated. 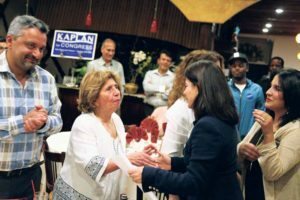 There were volunteers from high schools and elderly ladies who, in a Persian accent, told me that they had known Kaplan since she was a little girl. By this time, most people learned the news from their phones that Suozzi was declared the Democratic nominee, winning comfortably with 35.5 percent of the votes. 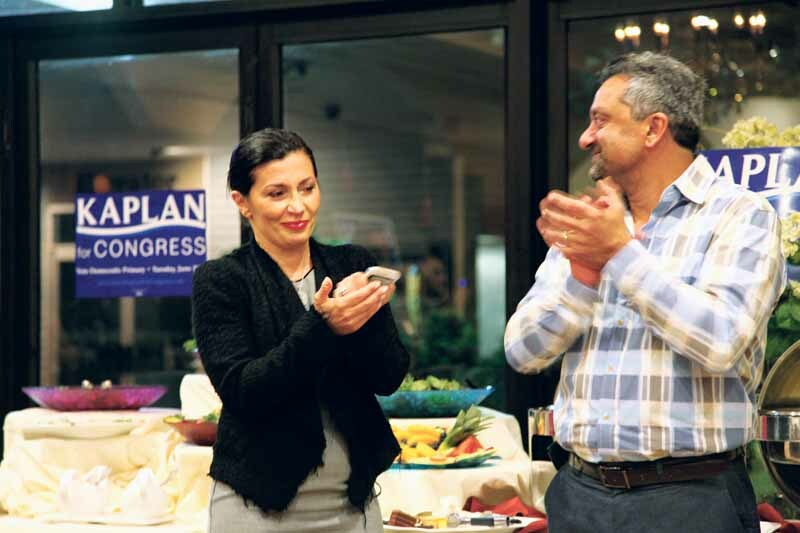 Kaplan won 15.3 percent, which placed her fourth in the race, a disappointment to her supporters. However, when Kaplan finally entered the restaurant, attendees broke into loud cheering and clapping. 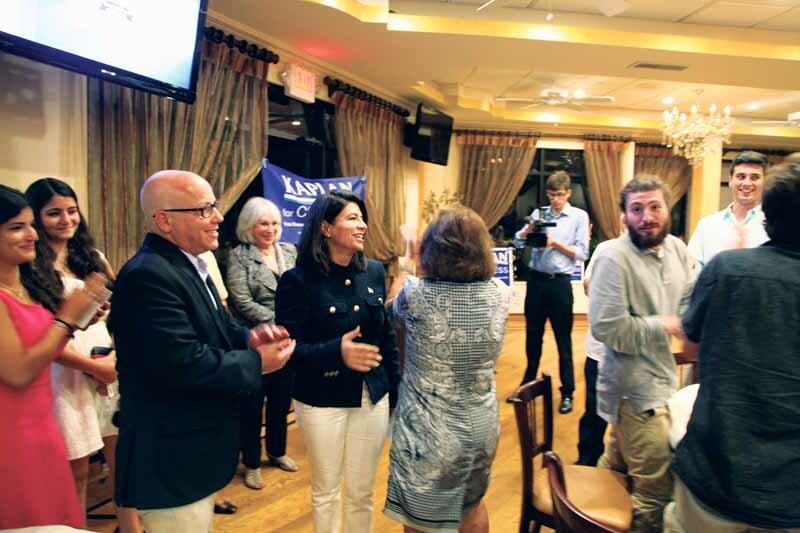 Kaplan shook hands with supporters. Kaplan took the time to walk around and shook hands with her supporters at each table before returning to the podium. In her concession speech, Kaplan highlighted her campaign achievements: 62 percent of her team members were female, her campaign staffers were paid at least $15 an hour and she received the endorsement of Emily’s List, a progressive national organization that aims to elect pro-choice Democratic women to office. Kaplan took the time to greet her supporters. 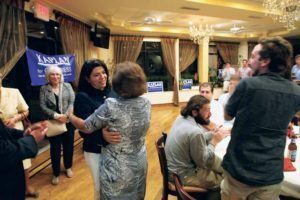 Kaplan walked around the room to greet her supporters. 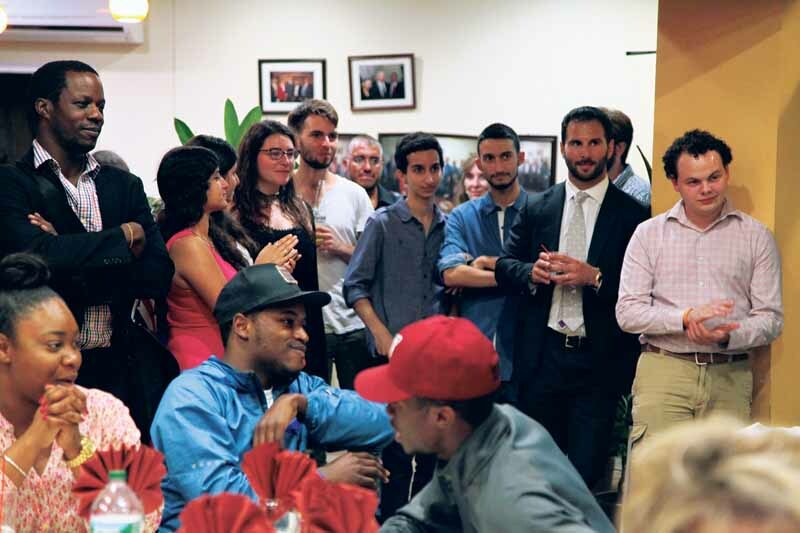 Kaplan’s campaign team watched attentively. In an election year, when everyone is getting tired of campaign rhetoric and politics, it’s easy to forget that politics actually involves real people with genuine emotions. Perhaps it’s a rare find in online political reporting and discussions, but it was here in this cozy restaurant called Shiraz in Great Neck. 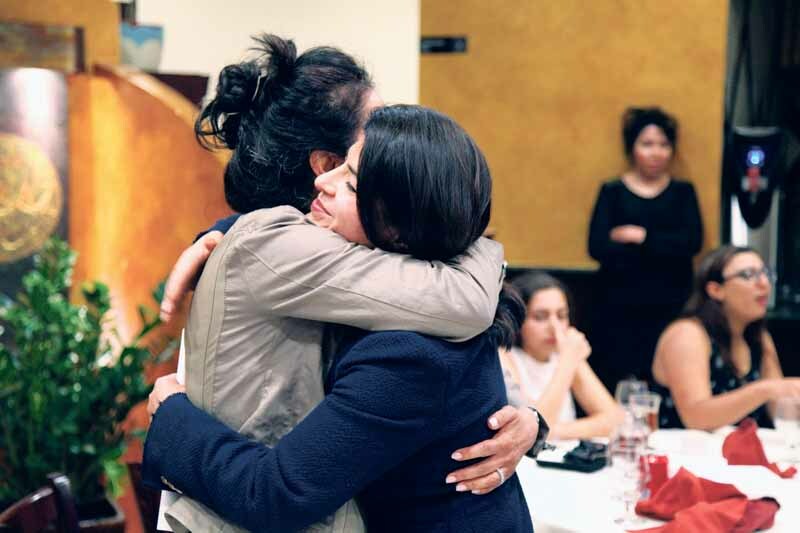 Kaplan’s longtime aide, Sabereh Samet, burst into tears. Shiraz was ready for the party.